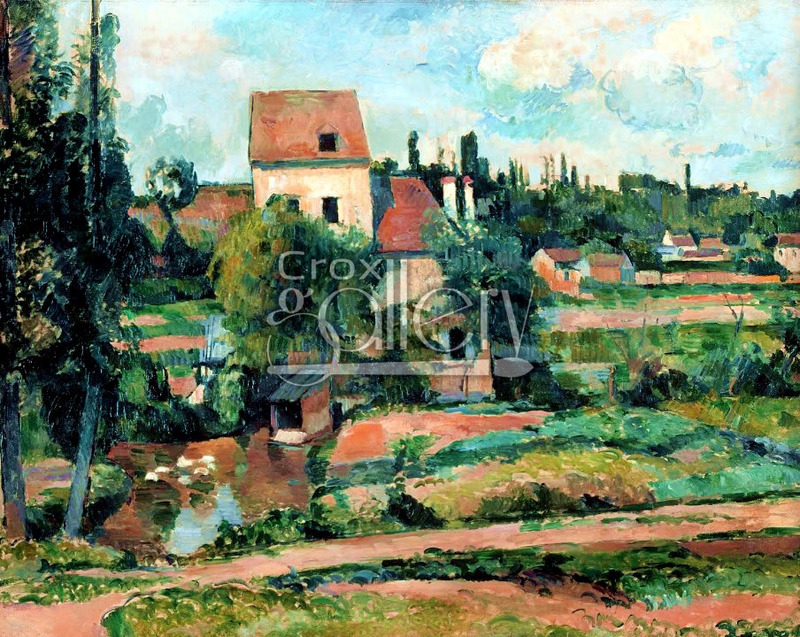 "Mill on the couleuvre at Pontoise" by Cézanne, oil painting. 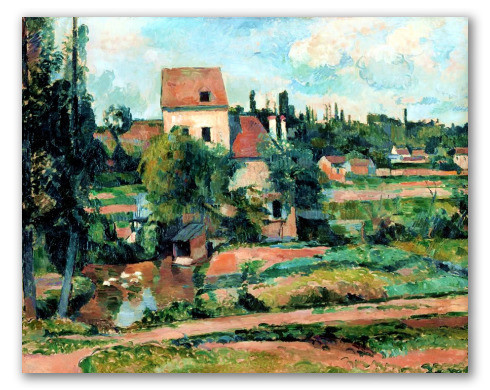 Mill on the couleuvre at Pontoise was painted in 1881 by Paul Cezanne. The painting shows one of the many mills in Pontoise , which at that time relied on the grain trade. Currently on display at the Alte National Galerie, Berlin.